We cannot judge someone by standing alongside. We must stand apart to know them. It is same in the friendship too. 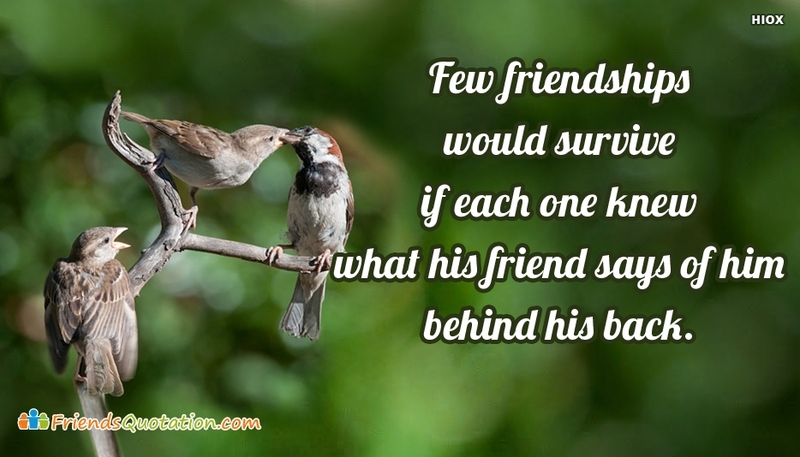 Few friendship survives by understanding that his/her friends talks only good about him/her behind their back. Free download and share this quote.